Cherylas a lightweight, portable, 980-nm wavelength(810-nm optional) Diode laser with a fiber optic delivery system is being used widely the field of otolaryngology, as it is less expensive. The laser transmits radiation via a flexible quartz fiber optic cable that can be used with a set of intra nasal, micro laryngeal hand pieces. These hand pieces allow for optimal laser focusing. Light at its particular wavelength is absorbed by tissues relatively independent of tissue type. Tissue response at this wavelength is determined by the absorption of water as well as by absorption of endogenous components such as hemoglobin and melanin. 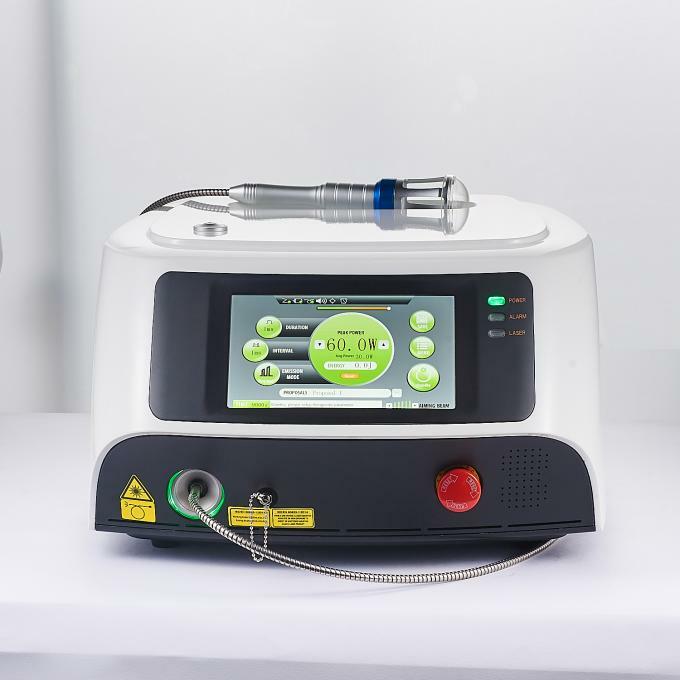 As a result, the diode laser has a large (up to 10 mm) penetration depth in biologic tissue, which makes it ideal for photo coagulation. 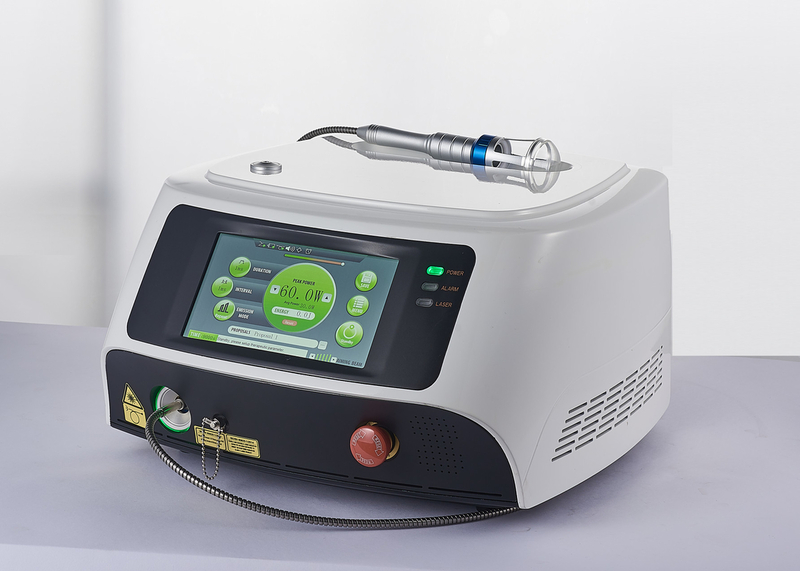 By contrast, the Co2 laser has a very shallow penetration depth and thus is best used for tissue vaporization. This laser compares favorably with several of the other thermal lasers used in otolaryngology; its tissue-cutting and coagulation effect is comparable to that of other commonly used lasers. 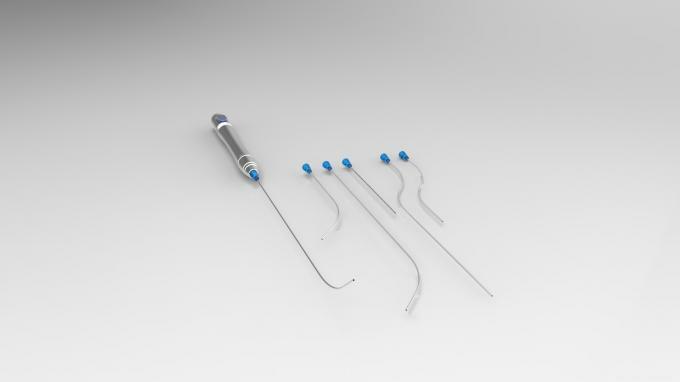 The Diode laser’s flexible fiber delivery system is compatible with hollow instruments, allows for coaxial vision, and is ideally suited for intranasal, oral and micro laryngeal use. The Diode laser is housed in a portable case and light weight so it can be easily transported between the OPD and the operating room. The length of set-up time is generally less than 5 minutes, and no warm-up period is necessary. 1. It can be used in contact mode, in which the tip of the fiber is placed directly on the surface of the tissue. This mode is effective for both photocoagulation and vaporization of tissue, depending on the power density. At the low- or mid-power range, coagulation occurs; at a higher level, vaporization occurs. 3. The laser can be used for interstitial laser-induced thermotherapy, a minimally invasive method of treating both benign and malignant tumors. The laser is placed through puncture holes in the skin, and its energy is absorbed by local tissues. This hyperthermic state causes either immediate or delayed tissue necrosis via coagulation. 4. In the clinic most cases can be done after administering a topical anesthetic and a decongestant spray to the nasal cavity, but micro laryngeal surgery needs General anesthesia with special fleximetalic tube to prevent fire hazard. 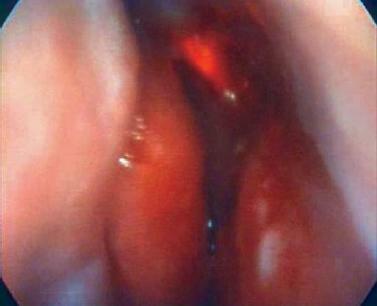 Microlaryngoscopy and removal of nodules, polyp etc under GA.